Today we go to a different kind of attraction, Columbus Zoo. The attraction was en route on our road trip back to Pittsburgh from Holiday World and Kentucky Kingdom. The dry amusement park section of the zoo is Jungle Jack's Landing, named after the famous director emeritus, Jack Hanna. Jungle Jack's Landing was once the amusement park area for Wyandot Lake/Gooding Zoo Park/Scioto Range Park. The waterpark side of the zoo, Zoombezi Bay, consists of modern waterslides on the old waterpark side of Wyandot Lake and picnic groves. Wyandot Lake was merged into the zoo in 2006 when it was purchased from Six Flags in the midst of the heavy restructuring of the Six Flags company within that decade due to mounting company-wide losses. Wyandot Lake became a Funtime park in 1983, with Geauga Lake in Aurora, OH, and Darien Lake near Buffalo, NY. Funtime Parks was sold to Premier Parks in 1995. Premier purchased Six Flags in 1998 and would later go on to assume their name. In the midst of all of this change, Wyandot Lake continued to be a steady regional park, while the corporate ownership prolifically expanded the other parks in the chain. The end result with the acquisition of the park by the zoo is the addition of one of the country's most successful waterparks in Zoombezi Bay and the addition of a nicely balanced small amusement park that helps to create a well rounded destination for families. It is nice seeing the families enjoy this small amusement park. I was extremely excited to see these inner tube bumper cars. I had a great time riding this style of bumper cars when they were at Dorney Park. They were removed from Dorney when Demon Drop was added. The gem of the amusement park area, and the main reason that we came to visit, was the 1956 vintage John Allen PTC Sea Dragon. Originally known as the Jet Flyer, this was one of the first three John Allen coasters, of which the other two are defunct. Hazleton, PA's former Angela Park Valley Volcano and Wildwood, NJ's former Hunt's Pier Flyer were both very similar to the Columbus Zoo Sea Dragon. It is always nice to see the classic manual operations going on these old wooden roller coasters. This is a delightful junior coaster with some fun pops of airtime. It was certainly a hit with a bunch of kids that were going back and forth to do marathons riding the coaster. A neat aspect of the amusement area is that they have incorporated interactive exhibits where visitors can get up close and pet some of the animals, including flamingoes and stingrays. The staff is also extremely friendly and it is clear that they truly love what they are doing with the way they interact with the animals and the people that come up to interact with them. Columbus Zoo really has an excellent staff. Lots of duckies hanging out by the pond! "You are here now too? Let's frolic around! Two's company!" Columbus Zoo is also home to a priceless Mangels/Illons carousel. This 1914 machine is absolutely spectacular. The carvings are spectacular, the paint remains fresh and glossy, the running boards remain as exposed wood, and the carousel is beautiful beyond words. The carousel was built for the former Olentangy Park on the other side of Columbus. It was later moved to the Scioto Ranch, the park that would eventually become Wyandot Lake, in 1938. 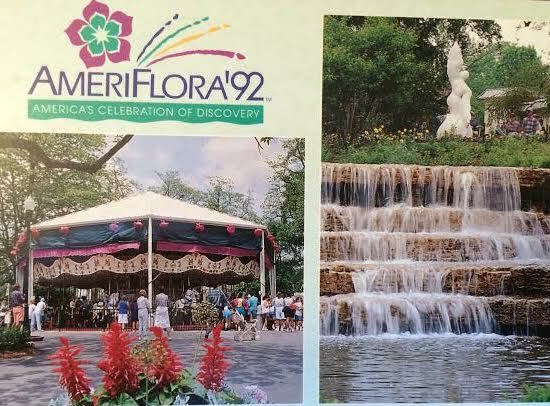 In 1999 the carousel was taken apart for a full restoration and was placed into a brand new, climate controlled, carousel shelter within the Columbus Zoo grounds for the 2000 season. Lots of snakes! We were getting a kick out of the animals. The Columbus Zoo is a pretty awesome place to visit. We stopped at the park as a rest stop during our trip back home from Holiday World and Kentucky Kingdom and spent about three hours. We could have probably easily spent an entire weekend at the zoo, for there is so much to do between the zoo, dry amusement park, and waterpark. This is a well balanced attraction that offers a ton of different experiences. This is truly a world class zoo facility that everyone should check out. We definitely would like to get back here sometime and spend some more time checking everything out. 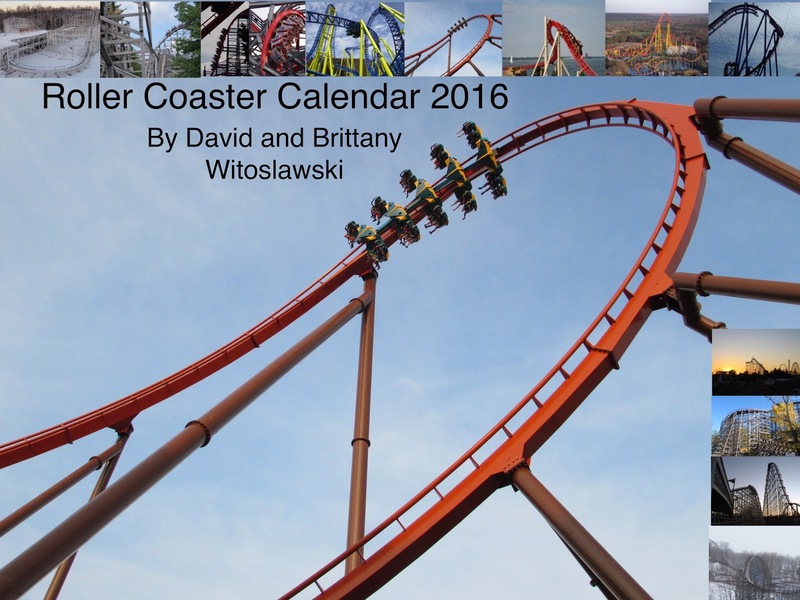 Now available is our 2016 Roller Coaster Calendar!